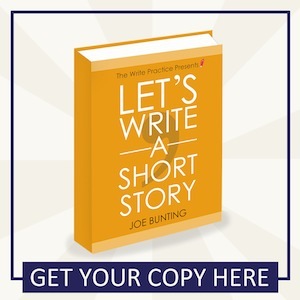 We don’t want to just write short stories. 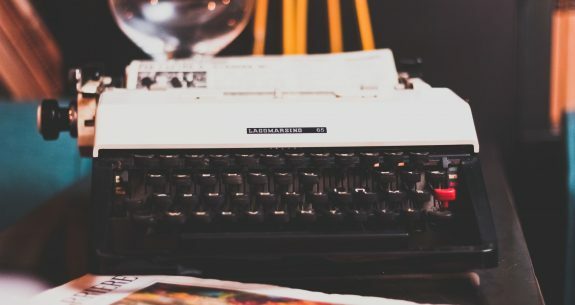 We want to write short stories that people want to read, stories that are deep and realistic, stories that draw us into a person’s life and allow us to experience something wholly new. In other words, we want to create art. How do you write a short story that comes from inside of you, something only you could write? I took a work­shop with Julie Orringer some years ago and she asked us to write from an area of our own expertise—to draw on a nar­row expe­ri­ence, such as being a com­pet­i­tive piano player, or the daugh­ter of a mother in a wheel­chair, or spend­ing sum­mers in a par­tic­u­lar town or house. Isn’t that great? Narrow experience. After she mentioned it, I couldn’t get the term out of my head for a week. It so perfectly described something I’ve long had a hunch about, basically, that people like to read specific stories, stories about unique and interesting people living their own unique and interesting lives. Capturing narrow experience was something Hemingway was a master at. He would go to Spain or Cuba or the safaris of Africa to experience firsthand the subjects he was writing about. Did you know The Old Man and the Sea was written about a real man Hemingway knew? The man lived to be 104 and died in 2002. I believe if you read The Old Man in the Sea and then met Santiago in real life (his real name was Gregorio Fuentes), it would be like meeting an old friend. Hemingway so clearly captured the man and his life’s work that he wouldn’t be a stranger. You don’t have to be an expert at something to write this way. You don’t have to do thousands of hours of research. You don’t have to do anything, really, except live your life. Everyone has narrow experience. Everyone has a story to tell about their lives. Everyone has a hobby or a setting or a person they know so intimately they can convey it so clearly that their if their readers saw that action or place or person in real life, it would be like seeing something familiar, a place they had already been, a long lost friend. Think about the short story you’re working on right now. What is specific and narrow about the main character’s life? How can you make it more narrow? What can you add from your own background that will make the story deeper and more personal? Great piece Joe, thanks. I am not currently writing a short story but would like to start one soon. However, last week I blogged about 5 days that have changed my life: 5 incidents that all had a profound affect on my life at that time, such as moving away from home (twice), a life-saving, life-altering operation, and what it has felt like to have care/support workers in my home for the last year. Individual stories of narrow experience, but also when taken together wove a narrative which people really wanted to read and which moved some of the deeply. It was an eye-opener for me too, about the depth of the value of writing from your own experience. All the best to everyone attempting the challenge. It may hurt, it may be hard, but it’s worth it! I’m working on a YA short story that I’ve dusted off and applying some of the things I’m learning from your book. (Great book by the way!) The specific narrow aspect of my pre-teen protagonist’s life is that his single mom is never around so he has to fend for himself, and he loves his dog (who dies two-thirds into the story). The character is based loosely on someone I knew growing up, and the setting is also based on the my childhood block. Awesome, Wanda. That’s a perfect example of narrow experience. Thank you Joe. I am an old man with many personal experiences to call on from the war years. I had not thought about any of them as material for a personal short story. Now I can see the fertile ground, undug by `ordinary’ people leading normal lives. Thank you for sharing this post, Joe. Once my exams are over on the 30th, I’m a going to write a memoir-essay about my mother’s operation last year which changed our lives drastically. Although it’s non-fiction, I hope it’ll help me get better at writing, regardless of the genre. I’m even planning of sending it to literary journals. I am working on a memoir about my school days as these are some of the most exciting times in my life. The novel I published in 2009 was based on many personal experiences – as a teen mom, therapist (using sandplay as my primary tool) for children in foster care, and a specialist in prenatal and perinatal psychology. Weaving this together was both therapeutic for me and an inspiration to write more – maybe a sequel. After a few years diversion into providing the central administration for the Association for Prenatal and Perinatal Psychology, I’m writing again. Currently working on a travel memoir with my husband. I also want to write about my early life experience attending a one-room country school in the mid west. This is an experience I share with few others as, even sixty years ago, this was not common. When the travel book is done, my challenge will be what calls to me next.